We would like to share with you some information about our school canteen. This post is to introduce our friendly, hard-working and quiet achievers Helen, Di and Lee and to acknowledge their work in purchasing, preparing and selling a variety of snacks and lunches to your children. Helen has been a significant part of Woodend’s community for the past 15 years. Her daughter came to our school during early 2000 and Helen worked in a voluntary capacity in classrooms and in the canteen. Her support in the canteen extends more than 9 years, the last four as canteen manager. Helen especially loves the students and the positive feedback she receives from them and the community. She is also competent at ordering and preparing many nutritious home cooked snacks and meals that were not previously offered to our students. Di has also worked in our school community over the past 15 years. She has been involved in numerous school volunteer activities over the years. These include: reading, camps & excursions, after school activities, Jump Rope and canteen. 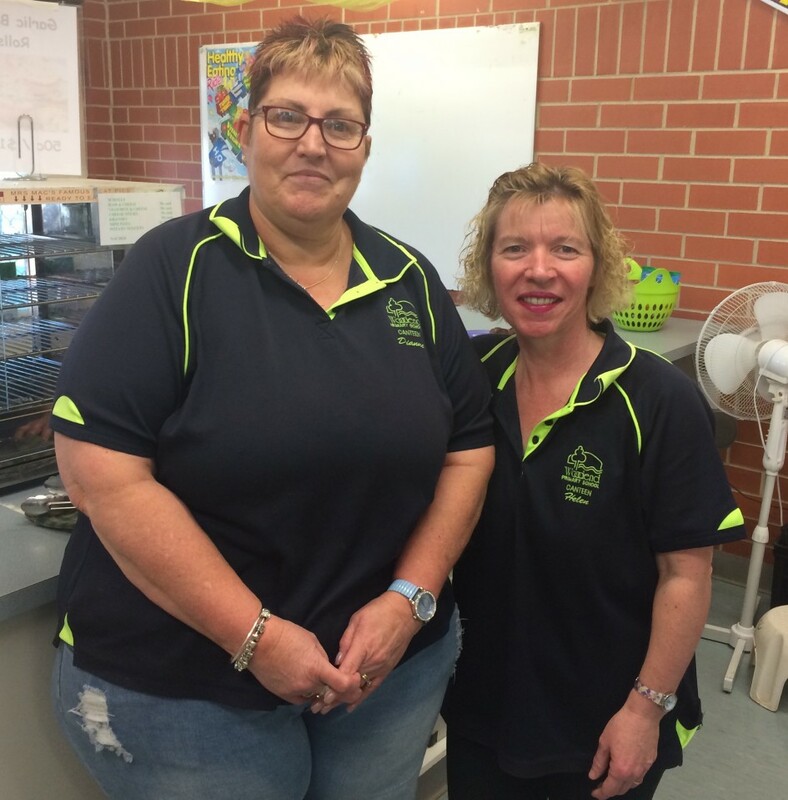 For her services to Woodend Primary School, Di received a Volunteer Of The Year Award in 2014. Her support in the canteen extends more than 9 years, the last four as canteen manager. She oversees the food purchases and has been instrumental in organising more home cooked snacks and meals for extra nutrition. Di loves working in this community particularly working with the children and families. We are also grateful for the services of Lee Francis who has been a committed volunteer and parent of our school. You can see Lee helping out Helen and Di, particularly on a Friday. In our next Newsblog post, we will share some of the home cooked snacks and meals available in our canteen.